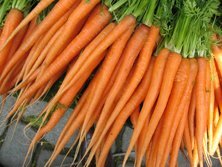 The best weight loss foods are a mystery to some. 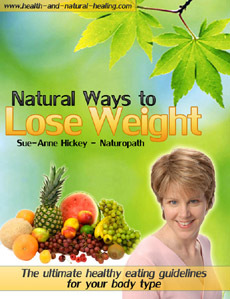 Many clients come to see me completley stumped as to why they are not losing weight. A quick evaluation often reveals that they are missing one or two of the most important healthy foods to lose weight. First, lets take a look at hunger, what makes us hungry or have cravings. Hunger is a physiological need. Hunger is controlled by certain hormones, neurotransmitters and other chemical reactions in our body that indicate that we are hungry or full. A craving is a type of huger that is not necessarily controlled by the body physiologically. It can be triggered by psychological reasons or outside events, such as mood, time of day, feeling lonely, habit, the people we are with, publicity, etc. Cravings are also triggered by our own nutritional deficiencies. Every body is different, has a different cravings, metabolism, energy levels and gains weight in different places. The Best weight loss plan takes this into account. Foods that have the biggest impact on feeling full are proteins and high fiber good quality carbohydrates. 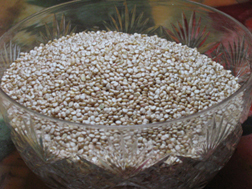 ie brown rice, quinoa, buckwheat, rye, millet, cereal bread or pasta made with kamut or spelt or brown rice. Carbohydrates give us our long term energy. Protein and fiber give us a feeling of satiety. This makes sense as fiber expands and fills up the stomach, sending a message to the brain that we are full. For the healthiest way to lose weight one of the most important aspects of hunger is blood glucose levels. If the levels are low we will feel hungry even if we have just eaten a meal and we are full! To avoid this it is imperative to avoid refined sugars, refined flour ie. white flour and everything made with them. These foods spike glycemic levels way up. For every 2 servings of whole grains you eat a day, your risk of diabetes drops by 21%.1Whole grains lead to smaller fluctuations in blood sugar and insulin than refined grains and sugars. Whole grains also lead to more satiety. Refined carbs lead to hunger and increased food intake due to wide swings in blood sugar. For natural easy to lose weight I often have my clients start with a cleanse or detox including extra fiber. It helps with ridding the body of accumulated toxins, so important to health. It helps kick-start the liver, which is often overworked or lazy so not metabolizing fats. When this is the case, weight loss is not possible. It cleanses the colon of accumulated waste material. Feeling full allows you to eat less and lose weight more easily. It is very important to eat slowly as the hormones that tell us that we are full are released into the blood stream from the brain 15 to 20 minutes after we begin eating. If we eat too fast we may overeat before receiving these messages. By replacing refined carbohydrates with these best weight loss foods, you are sure to feel full and satisfied and lose weight more easily. If you would like to know the best time to eat certain types of foods for your body type in order to lose weight, my Natural Ways to Lose Weight program can help you do just that. One of the most important aspects of weight loss, is to eat smaller meals when your metabolism is slowest and bigger meals when your metabolism is highest and you can easily burn it off. I encourage you to click here get further information about how to determine your body type and find out when your metabolism is high or low and to use that to your advantage. 1. PLoS Medicine: A peer-reviewed open-access journal published by the Public Library of Science: 4: e261, 2007.